Bayshore Park is near the Singapore Changi Airport and the East Coast beach and seafood restaurants. 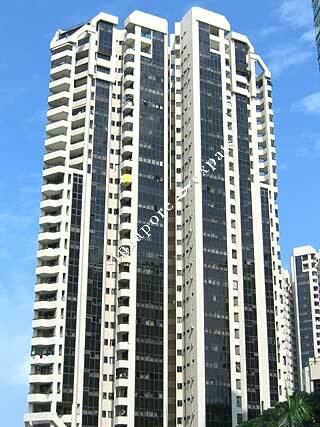 It is well-served by a private shuttle bus to the Bedok MRT and Parkway Parade Shopping Centre. The bus plus buses are available for the working professional to the direction of Raffles Place area. Bayshore Park is self-contained with its own convenience shop, canteen and restaurant. Residents hardly need to go out to buy their necessities. Bayshore Park would appeal to those who like the sea views have some high floor units has that to offer. Renovated units are also more preferred by the expat tenants. Seaview, resort style living, two swimming pools, beautifully landscaped garden, amenities within condo area, gym, tennis court, short walk to the beach, shuttle bus to Bedok MRT station. Resort style living. Shuttle bus to Bedok MRT. Two swimming pools. Easy access to the beach and east coast food centre. Minimart and eateries within condo area. Best place for people who loves the seaview and sea breeze. 2 gyms, 2 swimming pools, numerous tennis courts and basketball courts. The most ideal place for outdoor lovers. Excellent location between City and Airport. Project has plenty of open space for recreation and near East Coast Recreation Park.